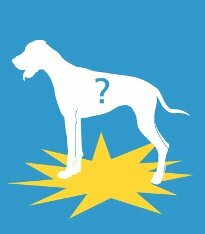 Sponsor a dog for a year - SORRY, ITEM NOW SOLD!! We offer you the chance to sponsor a UK based dog through Dogs Trust, our favourite UK dog charity! Dogs Trust is the UK’s largest dog welfare charity and last year alone they cared for over 16,000 dogs! Most of these dogs find loving new homes but those who need a little extra care are always safe with Dogs Trust because they will never destroy a healthy dog. 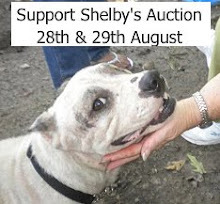 If you opt to sponsor a dog via Shelby's auction you will have the warming knowledge that you are helping two doggies in one! You will be helping the dog you sponsor be able to stay in an environment that they feel safe and secure in AND you will be helping sweet Shelby as you will in effect be matching the sponsor costs! 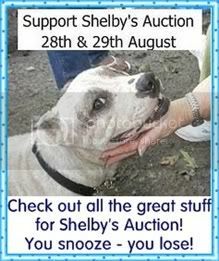 So please sponsor a dog via Shelby's auction! If you purchase this item you will still get to choose which dog you want to sponsor, we will get in touch with you and do all the paperwork for you, all you need to do is sit back and wait for your sponsorship pack to arrive! So, what are you waiting for - sponsor a dog today! PLEASE NOTE - this is the ONLY item that needs to be bid for in pounds sterling due to the rescue doggie being UK based! ONLY 1 AVAILABLE - SORRY, ITEM NOW SOLD! Me and my momma start da bidding at da 52 pound sterling......whatevers that might be in US greenpapers!??!?! Wow Minna!! Thanks for helping Shelby! !